They say parents will do anything for their kids, but surely there has to be a line that gets drawn somewhere after dressing up like Santa, but before having to wear this Piggyback Driver helmet. It lets kids steer where they want mom or dad to go while getting a piggyback ride, but shouldn’t kids just be happy they don’t have to walk? In case it’s not painfully clear, the Piggyback Driver helmet doesn’t actually interface with a parent’s brain, forcing them to go in whatever direction their child turns the handlebar steering wheel. The helmet does, however, have turn signals that indicate which way the child is steering, in case parents do care what direction their kid wants to go. There’s also a turbo button, which presumably will be pressed non-stop as kids urge their parents to run faster and faster, and interactive LED lights on either side that pulse faster when you do. 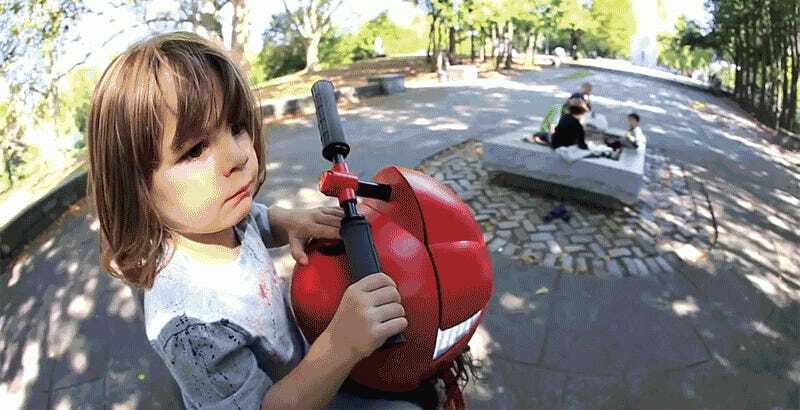 There’s even a big red horn button on top which is a feature that hopefully can be disabled before parents even put the helmet on for the first time. The Piggyback Helmet doesn’t exist just yet (those with kids can breath a sigh of relief). But its creators at Party’s New York offices demonstrated their creation at the New York Maker Faire this past weekend, and are hoping to find partners to help them make a production-ready version of the device. 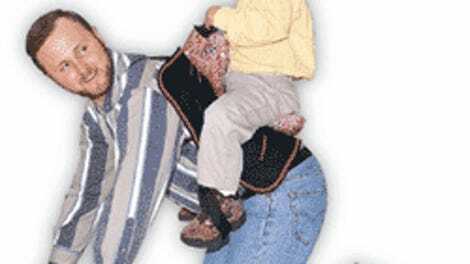 As a way to let kids hold on tighter when getting a piggyback ride, the helmet has a lot of merit. But the creators might have an easier time selling the idea without all the blaring sound effects. Are you sure you want to be a parent?